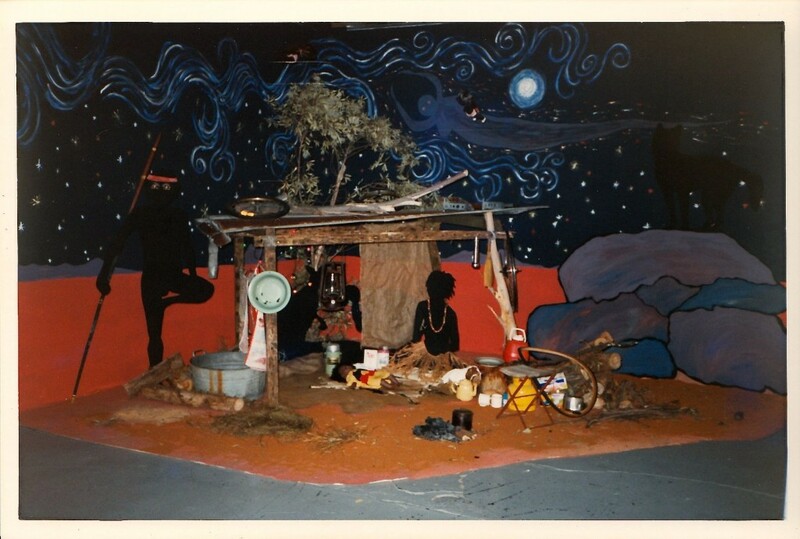 For the 1994 Boomalli Aboriginal Artist’s Cooperative end of year exhibition, Matthew Cook and I were asked to install an Aboriginal-themed nativity scene of our own design. Drawing on Matt’s art skills and my experience in theatre design, this is what we came up with. 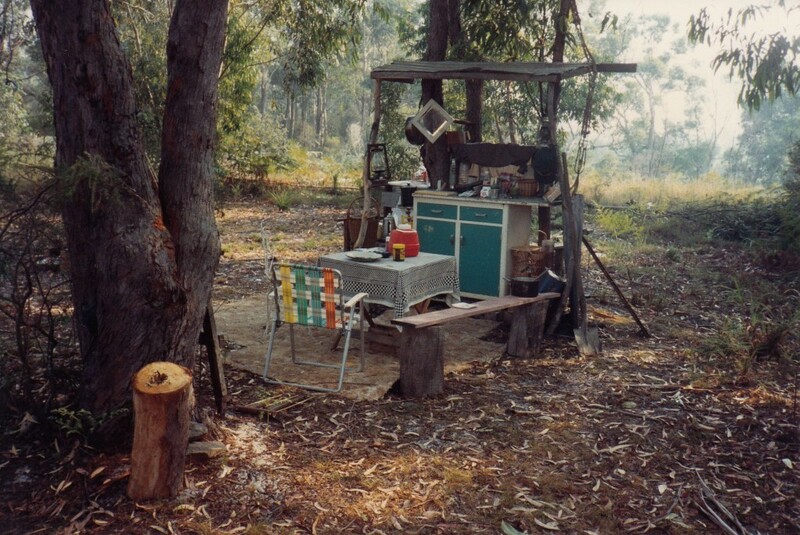 Inspired by our trips to Central Australia, our collection of Aboriginal souvenir art and by our love of building and living in fully-functional outdoor camps (photo included), the full-size diorama made a memorable mark in Boomalli’s exhibition history. Love and thanks to Brenda, Hetti and Jodie. 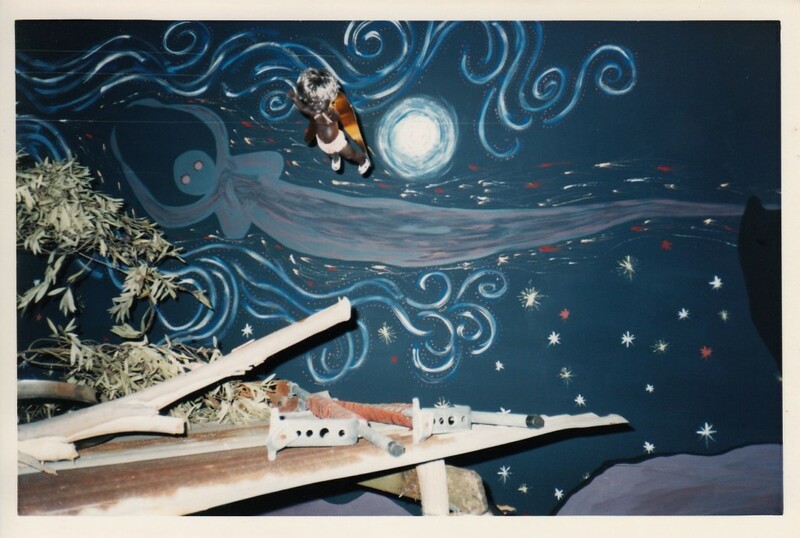 Good evening, I am a teacher and would love to learn more about this full-size diorama. Where is this currently installed? Hi there Vanessa. Thanks for visiting my website and for your valued interest in the diorama. 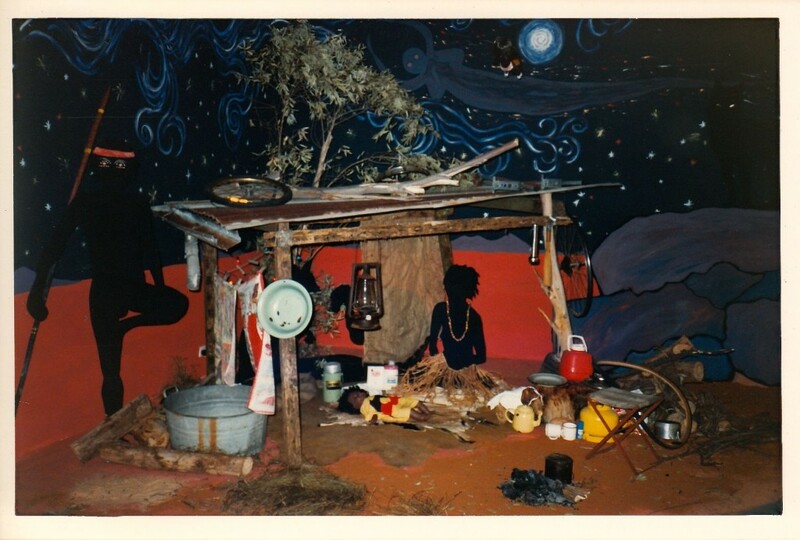 The diorama was a temporary installation as part of the Boomalli Aboriginal Artists Cooperative end of year exhibition in 1994 when they were located at Abercrombie Street in Chippendale. Only photographs survive but to be sure it well made its mark at the time and was received and is still remembered very well. Happy to respond to any further enquiries you may have. Feel free to email me via my contact page. Again, thank you for your interest. It’s good to hear that it still makes an impression. Tim.